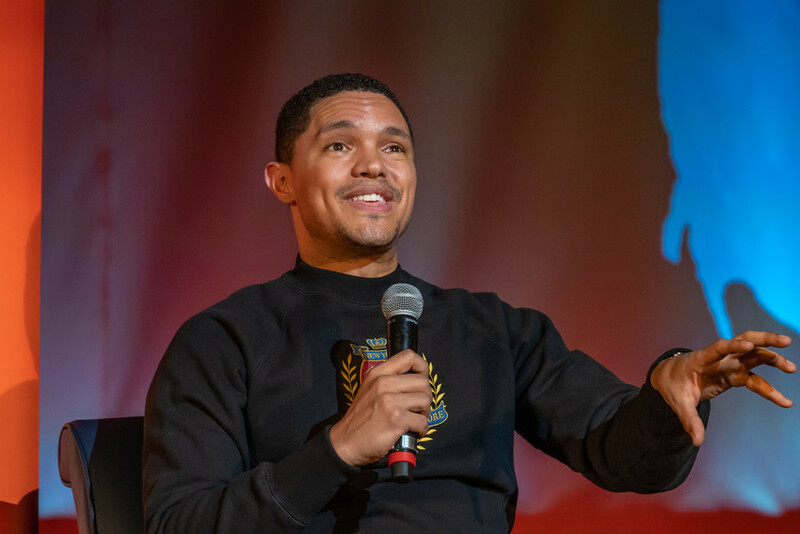 Comedian and author Trevor Noah addresses the audience during the 2019 Martin Luther King Jr. MLK Celebration Dinner. Jennifer Sanders, NewsChannel 9/WSYR-TV morning and noon news anchor, moderated a conversation with Noah. The 2019 Rev. 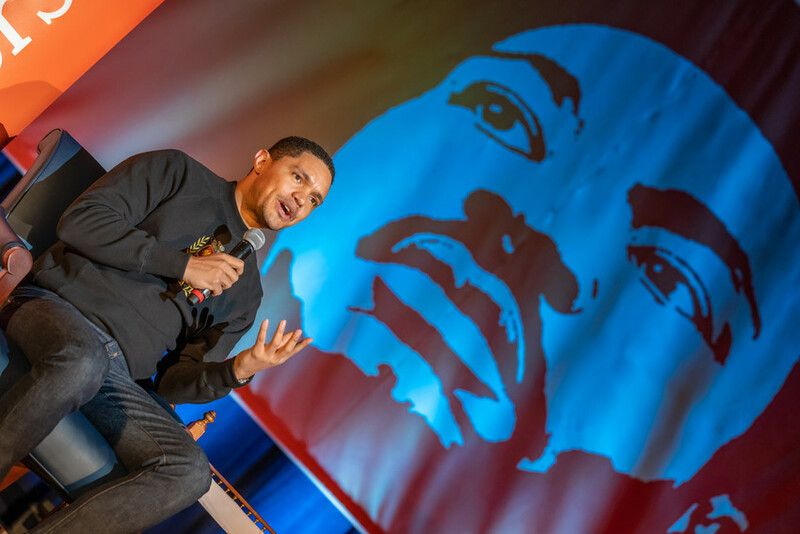 Dr. Martin Luther King Jr. Celebration—featuring comedian and author Trevor Noah, host of the Emmy- and Peabody Award-winning “The Daily Show”—was held last night in the Dome. 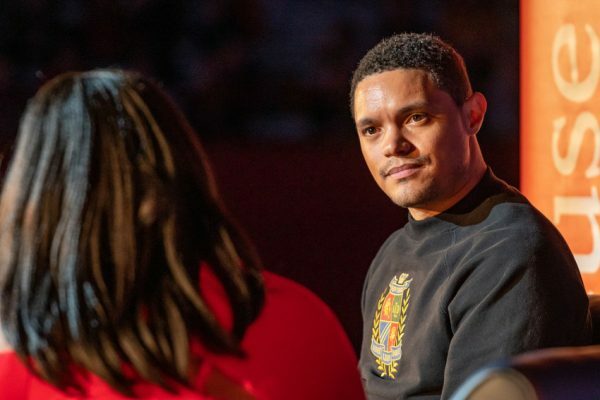 The event also showcased performances by students and Central New York community members, and presentation of the Unsung Hero Awards—recognizing local community members who have championed the plight of those in need. 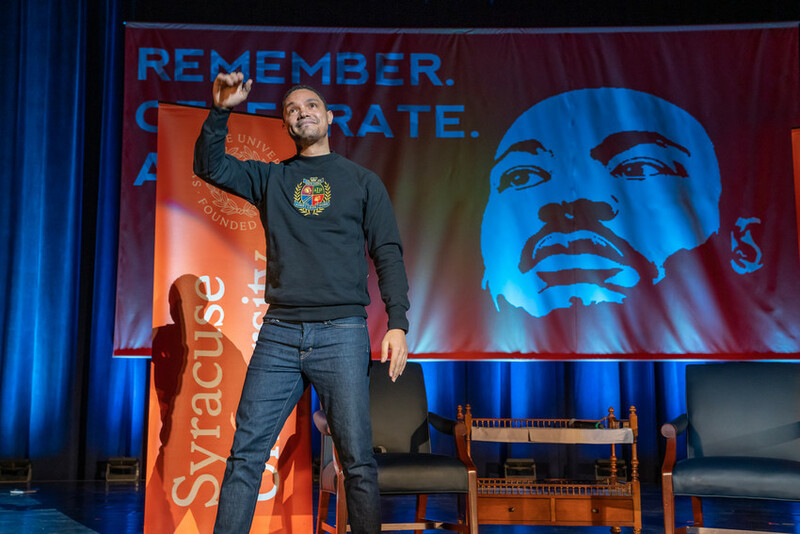 The 34th annual event was presented in collaboration with the University Lectures series and the Syracuse Reads program. View some of the memorable moments from the celebration. 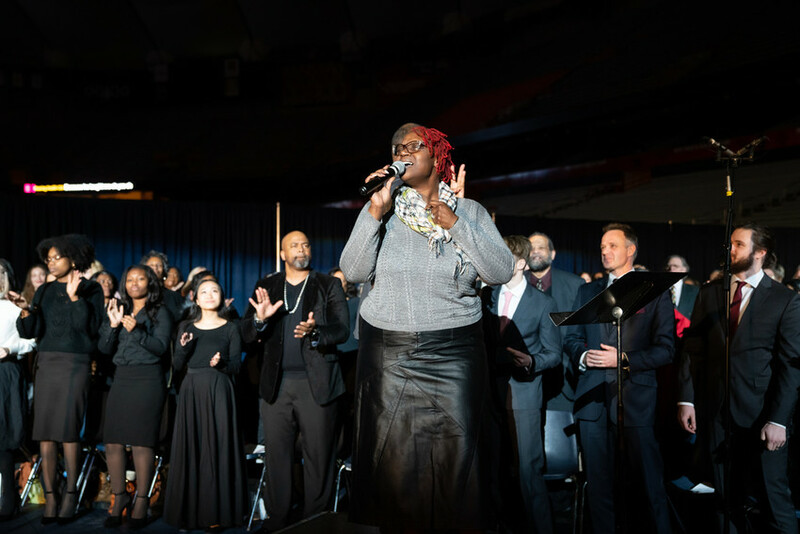 Members of the Community Choir and the Black Celestial Choral Ensemble performed during the the 2019 Rev. Dr. Martin Luther King Jr. Celebration. 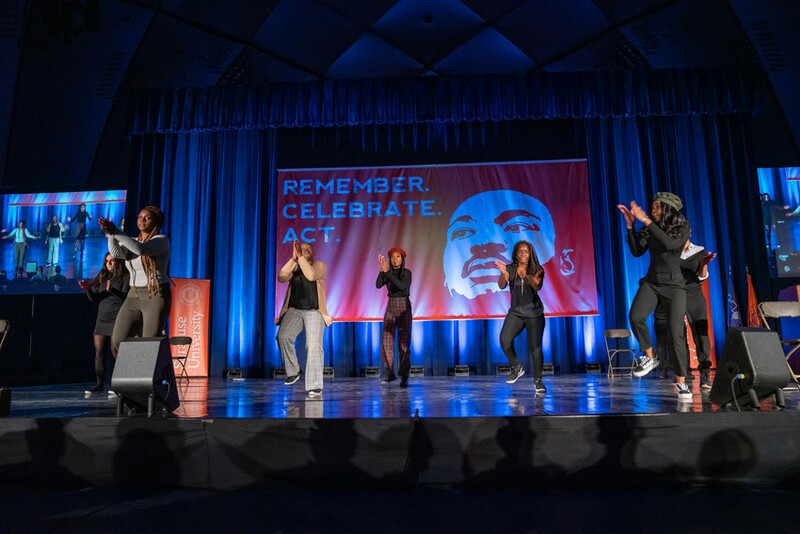 The Black Reign Step Team performed at the 2019 Rev. Dr. Martin Luther King Jr. Celebration. 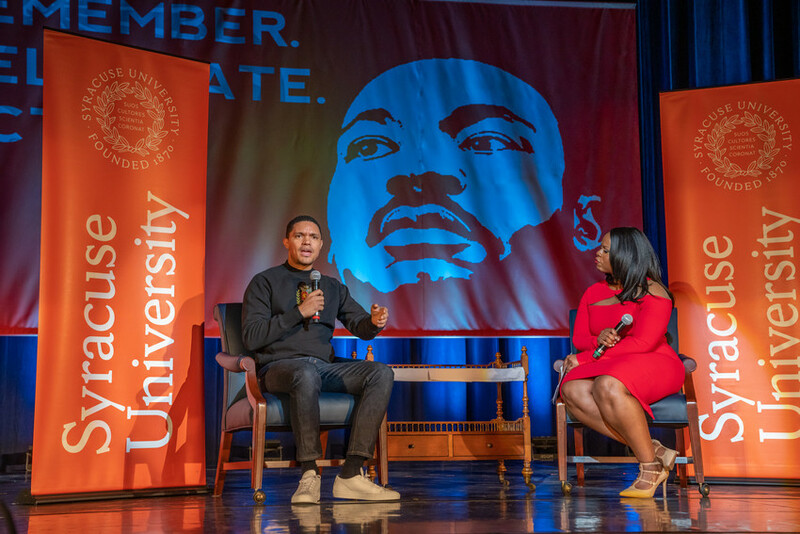 Recipients of the 2019 Unsung Hero Award are honored at the 2019 Dr. Martin Luther King Jr. Celebration. 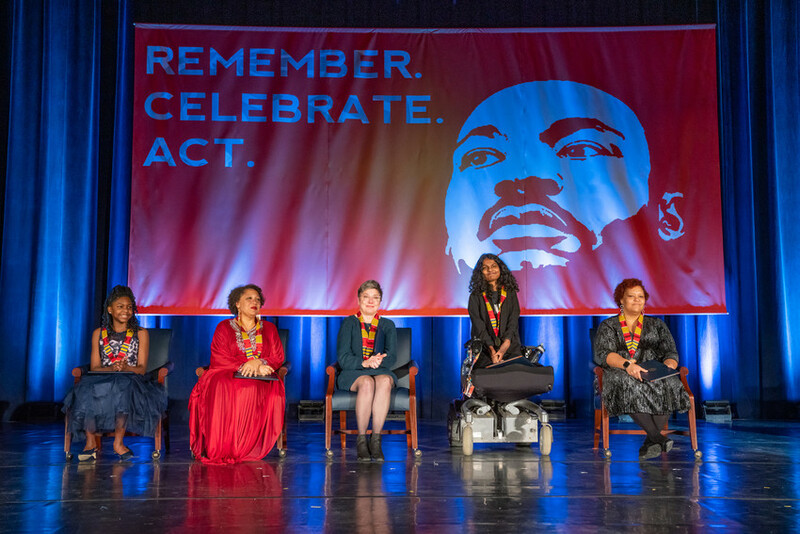 From left are Amiah Crisler; Marissa Saunders; Mary Lynn Mahan, whose husband, Stephen Mahan, was honored posthumously; Priya Penner; and Syeisha Byrd. 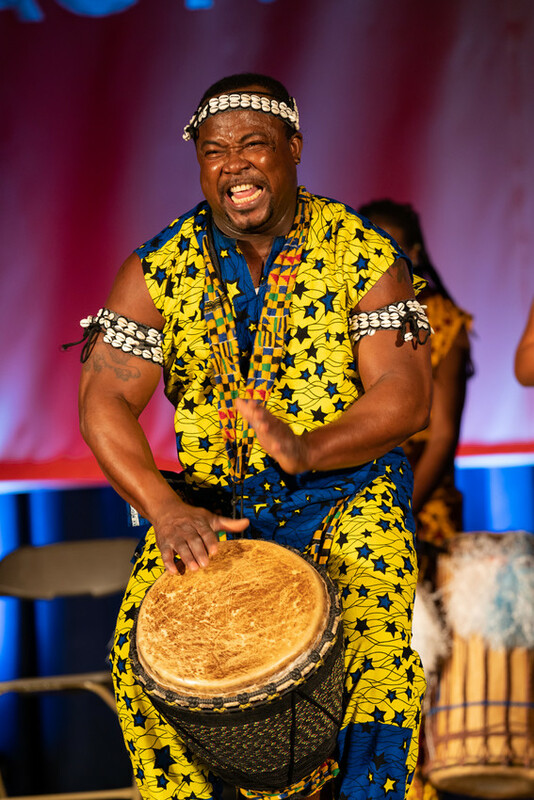 The Adanfo Ensemble performed at the 2019 Dr. Martin Luther King Jr. Celebration. 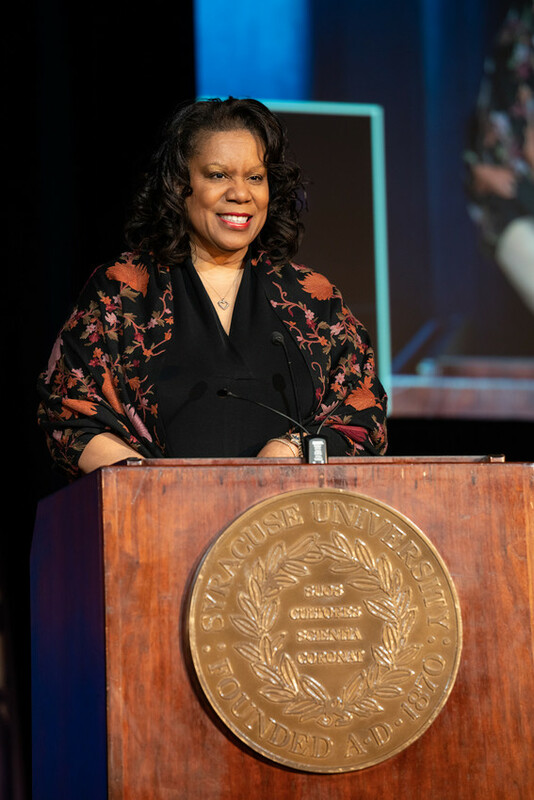 Jackie Robinson was the master of ceremonies at the 2019 Rev. 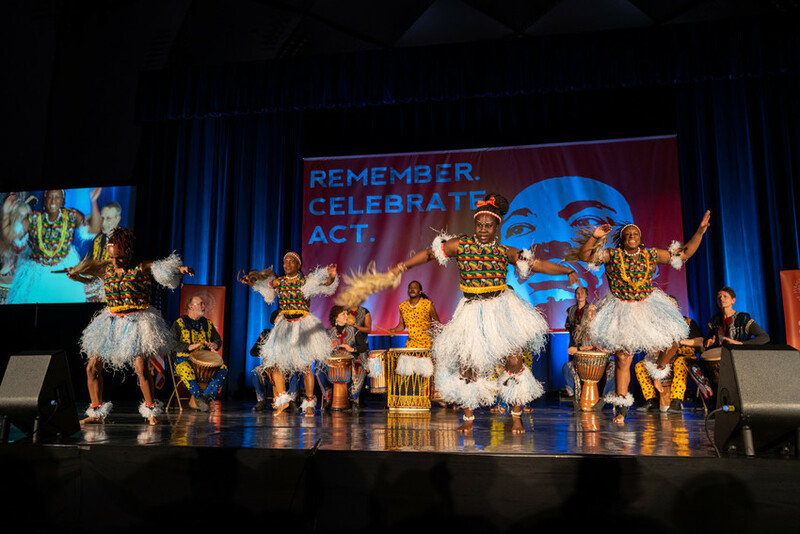 Dr. Martin Luther King Jr. Celebration. 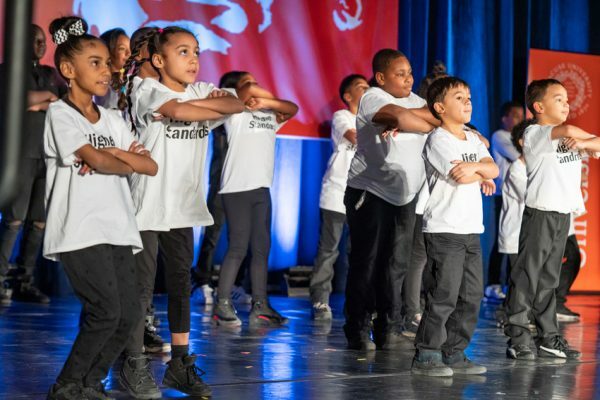 Children with the Southwest Community Center Higher Standards Camp performed at the 2019 Dr. Martin Luther King Jr. Celebration. A member of A New Generation Eternally Lifting Souls (A.N.G.E.L.S.) 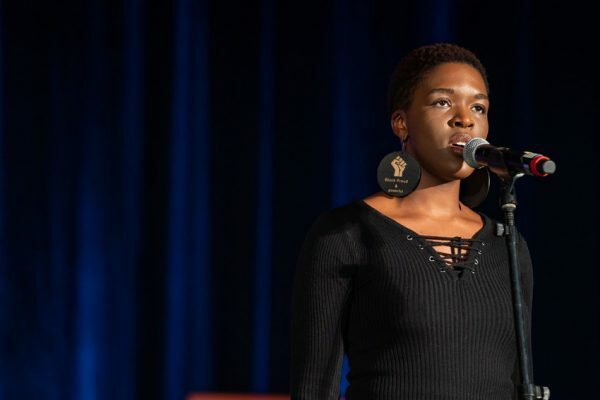 sings during the 2019 Dr. Martin Luther King Jr. Celebration. 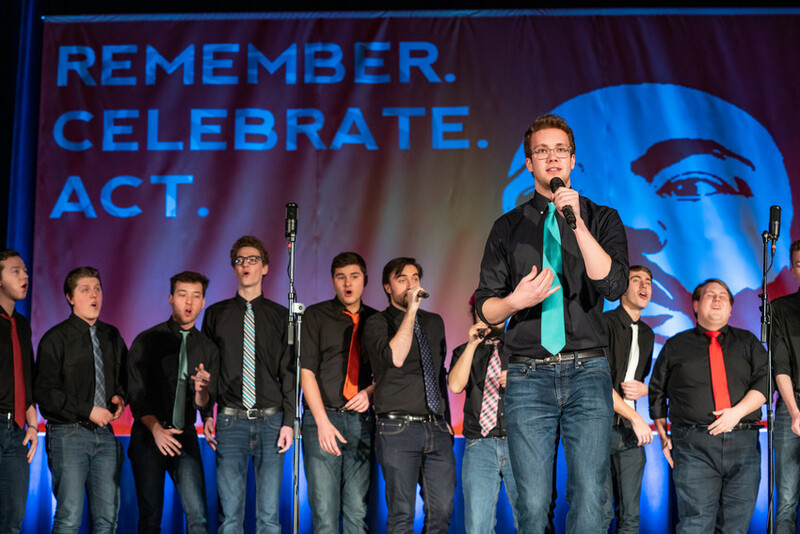 Orange Appeal took the stage at the 2019 Rev. Dr. Martin Luther King Jr. Celebration.